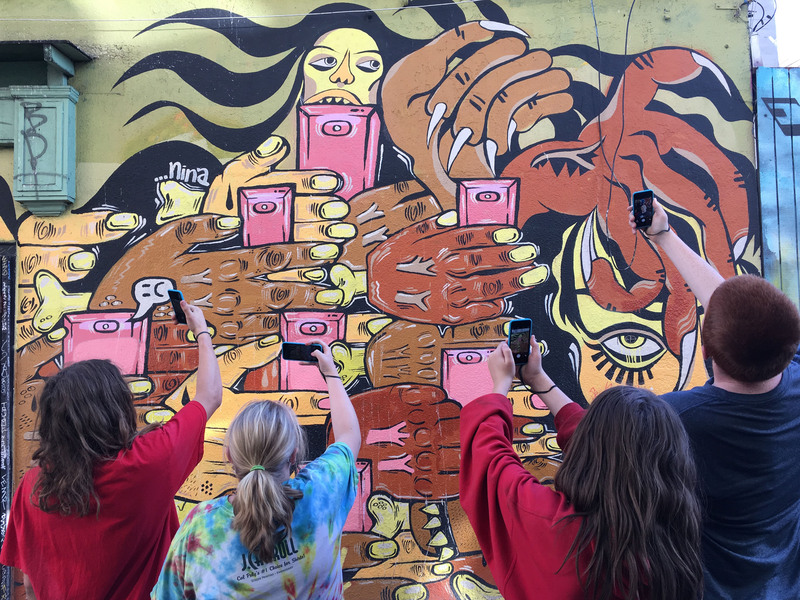 SITE + VISION is a new visual literacy program developed by the Mariposa County Arts Council for high school students that centers on selected curated exhibition of Bay Area museums and includes field trips to these institutions. It supports a growing body of academic research indicating that exposing youth to art has lasting emotional and cognitive benefits. Pre-Field Trip Prep (3 wks): Utilizing the image lists and interpretative resources developed by museum curators/education staff for the selected exhibitions, museum educators and Arts Council staff facilitate in-class discussions designed to build visual literacy skills and encourage engagement through interactive and inquiry-based discussion that prompt evidentiary looking. 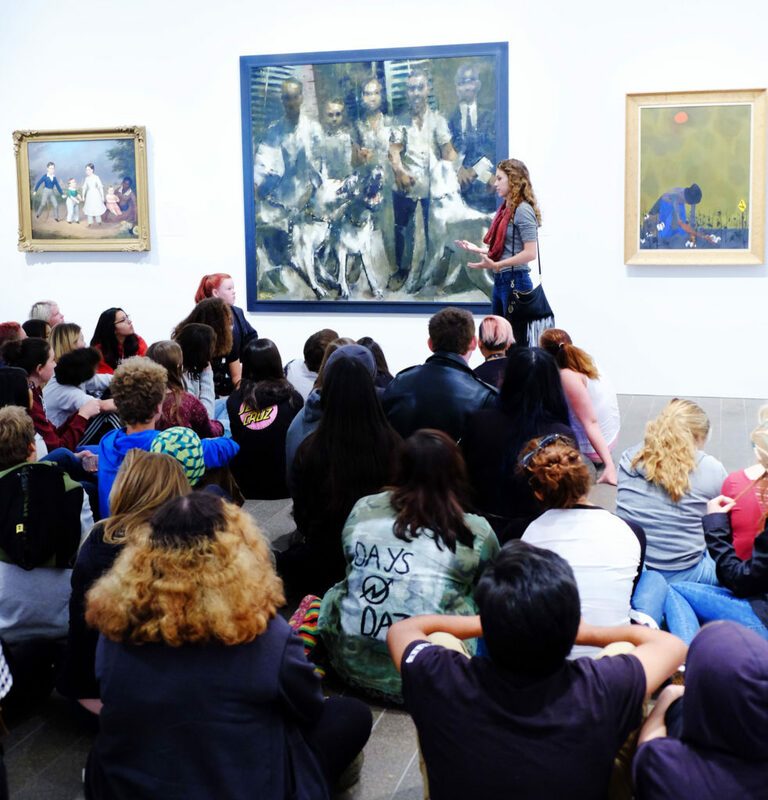 Field Trip (1 wk): Students visit the selected exhibitions and receive a gallery tour from an on-staff museum educator. 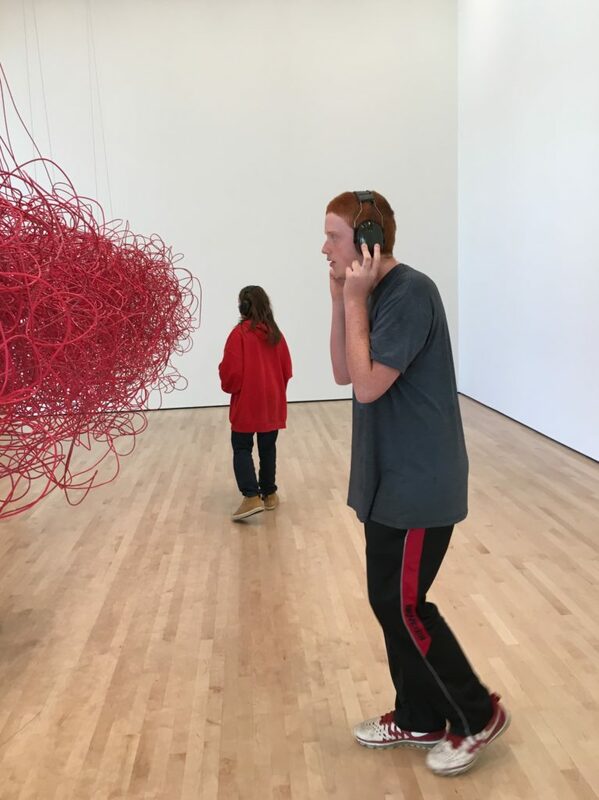 Post Field Trip Reflection (1 wk): Students create a piece of artwork, prose or poetry inspired by the work of the artist(s) or curators involved in the exhibition they visited. In 2017/2018 students studied and visited the following exhibitions: Walker Evans at San Francisco Museum of Modern, Revelations: Art from the African American South at the deYoung Museum of Art (San Francisco), A Matter of Photography in the Americas at the Cantor Art Center at Stanford University, and Power Up: Corita Kent’s Heavenly Pop at the Crocker Art Museum (Sacramento). Over the course of the program, students will explore how artists use artistic techniques to communicate specific messages to their viewers. Students will also build their understanding of the language of visual imagery = visual literacy. For the purposes of this program, visual literacy is defined as a set of the ability to interpret, negotiate, and make meaning from information presented in the form of an image, extending the meaning of literacy, which commonly signifies interpretation of a written or printed text. Because of our significant shift into a visually dominant culture, visual literacy has become an increasingly critical skill that draws directly from basic art principles and techniques. Special thanks to our partners at the Mariposa County Unified School District, specifically Superintendent Robin Hopper, Assistant Superintendent of Educational Services, Celeste Azevedo, art teacher Pete Bothwell, and principals: Celeste Azevedo, Tracie Baughn, Sean Jacobs, and Kathleen Pearson. SITE + VISION is made possible by the California Arts Council Arts Education – Exposure program: The Exposure program supports attendance at performances and exhibitions for students who may have limited access to these experiences.